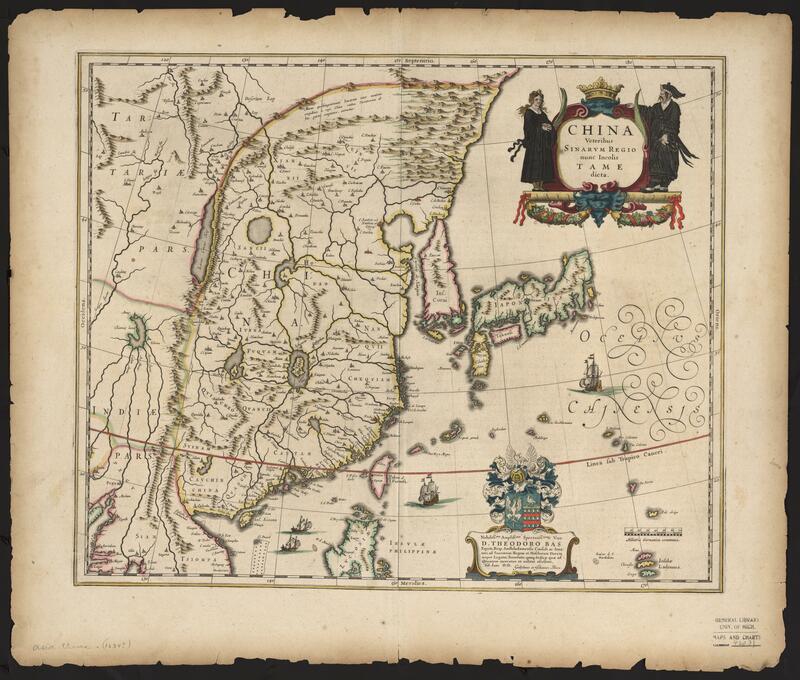 China veteribus sinarum regio nunc incolis tame dicta; Guilielmus et Johannes Blaeu. Blaeu, Willem Janszoon, 1571-1638.,Blaeu, Joan, 1596-1673. Includes decorative cartouche and dedication to Theodoro Bas. Printer's signature "F 6". 1 map: hand col.; 40 x 48 cm This map is in the public domain. Please attribute access and use of this digitized map to the Stephen S. Clark Library, University of Michigan Library.